Litigation | Keeping Wilderness WILD! You are currently browsing the category archive for the ‘Litigation’ category. ﻿ There is a good amount of cynicism about the legal system these days. Truth is, we have long been cynical about lawyers and lawsuits. “The first thing we do,” Shakespeare wrote in Henry VI, over four hundred years ago, “let’s kill all the lawyers.” The line has a certain humor, even allure, yet today. Just imagine a civilization without lawyers, without litigation. How good, how amicable, how non-litigious life would be! As a lawyer myself, I am somewhat biased against Shakespeare’s approach. Maybe let’s spare the lawyers, but we could certainly confine them. We could choose to be non-litigious, to forget about lawsuits, to take a more civilized approach. If we have a dispute, let’s talk it through, resolve it like human beings, without the need for a messy lawsuit. I have heard echoes of this view in the conservation community, and even among wilderness advocates. I have heard accusations that our community and cause, and the groups that represent it, are too litigious, are too willing to run into court over the tiniest little thing. The argument goes that it puts the agencies that steward our public lands and wildlife in a tough spot. Make any move and run the risk of getting sued. Don’t make a move and get sued as well. Damned if you do, damned if you don’t. In some measure, that may be right. In some cases, there may be too much reliance on the court system as the fix-all for the environment. But to be honest, I don’t worry about that problem. I trust that the remedies and realities of the legal system will address that concern just fine. What I worry about is our reaction to it. I worry about the view that we should shy away from lawsuits as a means of defending wilderness and the values that it represents, over any concern that we are being too acrimonious by doing so. We have to keep in mind the basic tenets behind the legal system itself. The root of that system is, of course, the Constitution. This one, short document designed a government of three﻿ branches, each one delicately balanced to keep the other two in check. Article I created Congress, vesting it with the legislative authority – the power to make law. Article II created the executive branch, charging it with the duty to faithfully execute the laws that Congress passed. Article III created the judicial branch, vesting it with the authority to hear cases arising under those laws. While Congress cannot create wilderness any more than it can strike lightning, it can surely seek, through legislation, to protect federal land in its untrammeled, natural condition– as wilderness. To do this, there are any number of paths Congress could have taken. It could have, for example, passed a general mandate turning the issue of wilderness protection over to the executive branch, similar to what the Organic Act did with the National Park System. 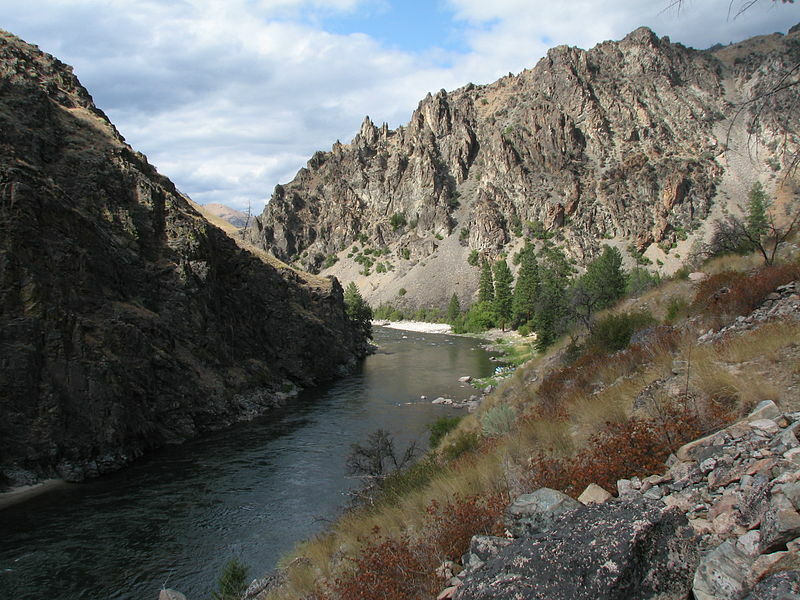 By so doing, Congress would have taken itself out of the business of wilderness preservation. The law would only have conveyed a general intent that there be lands preserved as wilderness, but would have otherwise left it up to the agencies to figure out what that means. Such a legislative strategy would have had the compounding effect of mostly taking the judicial branch out of play. The reason for this is sovereign immunity – a doctrine that, in general, makes the government immune from lawsuits brought by citizens. No one can just sue the government out of hand. Instead, Congress must pass a law that waives sovereign immunity to whatever extent it sees fit. In the case of environmental litigation, that law is the Administrative Procedure Act, or APA, which allows citizens to sue governmental agencies in order to overturn administrative decisions that are arbitrary, capricious, or unlawful. Take heed at that point: Congress wanted citizens to be able to enforce statutes like the Wilderness Act by initiating lawsuits against federal agencies in the federal court system. With a statute like the Organic Act, this is difficult to do. More often than not, a court will view such a statute as only a general mandate that gives an agency a broad range of discretion to manage the lands under its jurisdiction as it sees fit. For this reason, there are very few cases in which a plaintiff has successfully enforced the Organic Act against the National Park Service. But for wilderness, Congress took a wholly different approach. Instead of expressing its intent and deferring the nuts-and-bolts to the agencies, it got directly into the business of wilderness itself. The Wilderness Act of 1964 is an unusual federal lands statute in that it provides a series of specific and clear directives on what wilderness is and how a system of wilderness is to be created and maintained. Indeed, one federal judge has deemed it the “closest thing to a purist manifesto as exists in federal law.” The Act’s directives effectively take away much of the discretion that the agencies normally enjoy. For established areas, it imposes a statutory structure with detailed requirements – no vehicles, no structures, and no commerce – along with a strict, over-arching mandate to preserve wilderness character. The benefit of this approach is that it puts wilderness squarely within the checks and balances of the three branches. Congress can and did pass a law to preserve lands as wilderness. The executive branch is to faithfully execute that law. To the extent that it fails to do so, the judicial branch has the authority to mend any breach of that law. Avoid that last step, and destroy the balance that makes the entire system work. Take out the judiciary and the balance goes away, as does the check on the agencies, leaving no mechanism by which to enforce the Wilderness Act against them. I do not mean to derogate those that bear the responsibility for stewarding our wilderness areas. In fact, I mean exactly the opposite. Our government is, after all, an enterprise staffed by human beings, who by their nature are not perfect, have their own opinions, and can reasonably disagree. Prior to courts, for hundreds if not thousands of years, the resolution of conflict was a matter of the sword, a matter of might makes right. Our present system of government seeks to avoid that by creating a forum for intelligent, civilized debate moderated by a judge vested with the power of the sovereign. At its root, the idea of litigation is that it allows two disagreeing parties to come forward and speak their peace to a neutral authority, who then reviews the evidence and decides the issue, thereby resolving the conflict. To be blunt, the point of the judicial branch is to resolve conflict, not to create it. What better opportunity is there to advocate the values of wilderness than that? What more reasoned approach exists by which wilderness advocates can air their disagreements with agencies to an authority that is obligated to follow and enforce the law exactly as it is written? Indeed, such a forum lends itself particularly well to a statute like the Wilderness Act. It is hard to find a more clear, basic statutory command than, for example, there shall be no motor vehicles in wilderness. But the challenge of understanding the Act is that the rationale behind such statutory commandments is not so easy. The reason why it is important to have wild areas free of motorized vehicles is not obvious. It requires an understanding of not only the inter-workings of all of the Act’s terms, but also the philosophies and ideals underlying those terms – as the author of the Act, Howard Zahniser, put it, the need for wilderness itself. In fact, Zahniser himself recognized that part of the need for wilderness lay in its educational lessons, which in his words included “the lessons of history – a stimulus to patriotism of the noblest order – for in the wilderness the land still lives as it was before the pioneers fashioned in and from it the civilization we know and enjoy.” Such lessons of history include our political history, the values underlying our own system of government. On one level, the Wilderness Act seeks to preserve a system of lands that allowed the American democratic experiment to occur and flourish. Likewise, the Declaration of Independence holds that our self-evident rights are derived from the state of nature – wilderness itself. As we litigate wilderness issues, we are placing our trust in the legitimacy of a system born from the geographic and philosophical roots of the very lands we are seeking to preserve. So too does litigation lend itself well to the oversight of different lands in a common system. No lawsuit is an island. Each judicial decision that is handed down creates and becomes a part of a greater body of law in and of itself. While courts in different circuits and jurisdictions can disagree, all decisions, no matter how minor, have at least some weight. Whenever a lawyer steps to the podium to argue for wilderness, he or she is never doing so only with respect to the issue at hand, but is seeking an application of the Act that will exist in perpetuity, for as long as our government shall last. Litigation over the Wilderness Act is not only a check on the agencies that administer wilderness, but also acts as a continuous test of the Act itself. If courts find the Act to be infirm, or unclear, then there is no better signal that the Act is not doing its job and needs to be strengthened through legislative action. As for the idea that wilderness advocates could somehow be too litigious, the practicalities of litigation offer an effective deterrent. Lawsuits are hard. They require a significant investment of time and resources, and no matter the amount of effort expended, they are always difficult to win. The judicial system must be used judiciously. A plaintiff must carefully consider the merits of every lawsuit in advance, to determine whether the issue at stake is worth fighting for, whether there are sufficient resources to see it through to the end, and whether a good or bad outcome will enhance or inhibit the greater aspects of the cause. No one who takes litigation lightly will advance their mission, either by rushing to the courthouse for any minor dispute, or refusing to do so for any dispute. Be cynical towards litigation. Be wary of lawyers. But do so in the right way, a way that is careful in approach but bears in mind the incredible importance that this branch of government has. Anyone who has been in this line of work for any length of time realizes that effectively advocating for wilderness preservation demands effective advocacy in all three branches. Wilderness needs litigation. If we decide to ignore that, then the very resource we seek to protect is destined for the same fate as Henry VI. 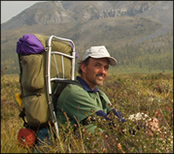 Jon Dettmann is an attorney with Faegre & Benson in Minneapolis, MN, an experienced Wilderness Act litigator, and President of Wilderness Watch’s Board of Directors.